It's been a busy month! I feel like I haven't had a quiet weekend in awhile! First there was a hen do, then it was a 30th birthday and of course the horrible winter illness bug, so I'm really looking forward to Friday and a bit of chilling out. And yeeeeah, I realize it's only Tuesday. Ugh, is the week over yet? Despite the busy schedule, I've still found time to shop. A girl's gotta have priorities, right? Isn't it cute? 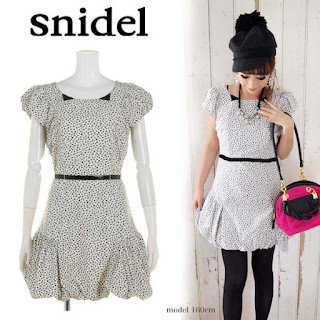 It was on sale to boot, and I loved this Snidel dress when I first saw it in this Tabio advert way back in October! I never thought it would or could be mine! Let alone for an affordable price! 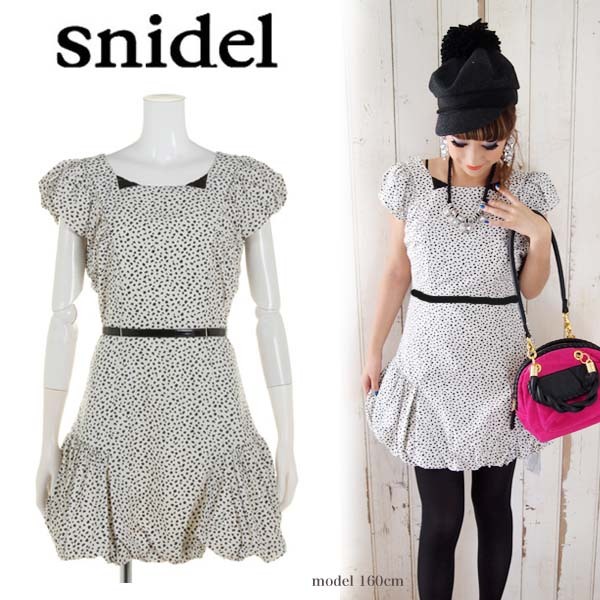 Snidel is a Japanese brand, so yeah, unless I had a trip to Japan soon, which I don't, so this surprised even me. I guess never underestimate a girl with an Amex burning a hole in her wallet. What a good feeling. Don't you love it when you nab a great deal or find something you didn't think you would? Despite still having the winter lurgy, ugh, it's been a pretty darn good last few days. Ya know when things are just going your way? Yeah, that doesn't usually happen to me either, but I'll take the good streak! We all deserve it from time to time. I hope you're having one too!